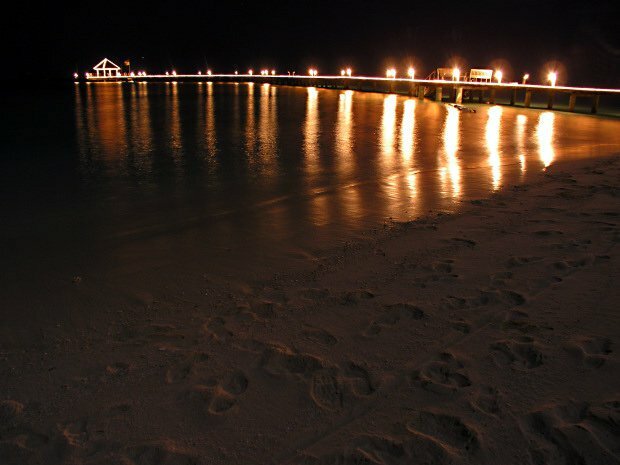 I remember the first time I walked on a beach at night. It was on my first trip to Italy. Were on a beach in a town not to far from Rome. It was after a night of dancing under the starts on a club just off the beach. I was with my dearest cousin and kindred spirit. I could not have been older than 20. I had left my first love at home, waiting for me. And what I found was so much more than I’d left behind. It was then that I realized my deep love for the ocean, as I waded in the warm dark water. We sat listening to the waves contemplating the treasures of life the way he and I always do. It was also then that I realized the required depth of my existence. I could not live on the surface the way so many seem to do. I needed to go deep, as deep as the ocean does, in order to feel the meaning of my life. I formed a deep bond with the ocean, with myself, and with a kindred spirit that night (though we rarely see eachother). I understood the power of The Human Connection. That so few words are required to connect humans. That so much of the wisdom of life is felt. And I understood, only to be able to word it later, what the great Paolo Coelho refers to as the language of the universe. That first trip to Italy forever my changed my life. More than the culinary treasures is is known for, it set me on path I now know is my purpose. The explore life as deeply as I can, to draw from the wisdom held in all experiences. To take that wisdom and share it with others as I connect with them, in order to enrich their own lives. In order to enrich the experience of The Human Connection.